Enzymes, especially food enzymes, are greatly affected by the pH balance levels in the human blood and body tissue. Their enzymatic functions, or lack thereof, will determine the state of health or disease that your blood and body tissue will possess. This is why it is critical for you to understand the health principles behind the Acid Alkaline Diet (also referred to as an Alkaline Diet Cancer Diet, Acid Alkaline Balance Diet, or Alkaline Acid Diet). It is important that we learn to eat Alkaline Foods with PROPER FOOD COMBINING PRINCIPLES according to the Acid Alkaline Food Chart. We must avoid eating an Acid Forming indigestible Diet that will only supply Empty Calories devoid of nutrients due to bad food-combining practices. When we are putting our Alkaline Foods List together, we should follow a plan of Alkaline Diet Recipes. This will promote an Alkaline Forming Diet and will supply the body with the full complement of vitamins, minerals and nutrients required for the body to attain the ultimate health, power, strength and endurance. 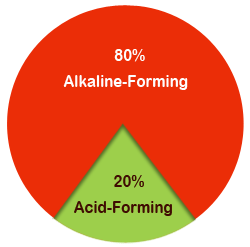 All food diets are either acid-forming or alkaline-forming. Although the body requires approximately 20% of the diet to be derived from acid-forming foods that can be properly digested to help maintain pristine health, high acid-forming diets that cannot be properly digested acidify body tissue and eventually lead to Low Chronic Acidosis that will drain and weaken the health and energy of every human cell in the body. WHY WE CAN WE REACH MAXIMUM CELL™ WITH The The AAA Diet®! When food is properly combined, the digestive abilities are accelerated, and the nutrients are quickly absorbed for optimum nutrition which provides you, the person or athlete, with power, strength and endurance for peak, physiological or athletic performance. When foods are not properly combined, indigestion is the result, the proteins putrefy, and starches and sugars ferment, poisoning the body on a cellular level. It is important for body cells to maintain a high level of cellular energy to attain, and maintain, optimum health through an alkaline medium. Acidified body cells become weak and lead to various unhealthy and low-grade body tissue conditions and diseases, such as low-grade acidosis, chronic acidosis, nutrient deficiencies, bone diseases, arthritis, muscular weakness and diseases, organic ligament damage, cancer, strokes, heart disease, colon disease, and a host of digestive problems that rob you of the energy your body cells require. Why? Acidified body cells are robbed of the oxygen and energy that is required to maintain a strong and healthy immune system that can quickly help your body cells to repair, regenerate and replenish the cellular nerve energy, power, strength and endurance in your bones, muscles, and ligaments, for the maximum performance of all physiological and biological functions of the body. Acidified body cells rob you of the minerals such as the calcium required for strong bones, and lead to bone diseases such as arthritis, osteoporosis, rheumatoid arthritis, and cancer. Acidified body cells rob you of the macro-mineral such as magnesium, required for ultimate muscle function and support that is needed for optimum strength, and calcium for skeletal support, so you won't develop chronic back problems or herniated discs, or any chronic bone condition that may hinder superior athletic and/or non-athletic performance. How Can We Attain the Athletic/Non-Athletic Health, Power, Strength & Endurance Desired? By reaching maximum CELL™ (Cellular Energy Loaded Levels) for peak, athletic/non-athletic performance, and by applying the principles that are found in the book on The AAA Diet® Acid Alkaline Association® Program. It is not what we eat but what we digest and assimilate that adds to our health, strength and usefulness. See The AAA Diet® Certification Courses. The message is clear for all athletes who desire to possess superior athletic performance and endurance. 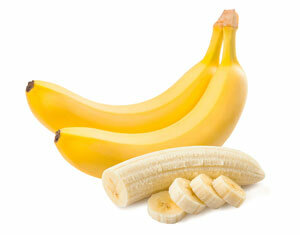 Eat a high-carbohydrate diet of raw fruits, vegetables and nuts. This does not include eating processed high-carbohydrate foods which contain empty calories that will deplete your nerve and cellular energy. Which alkaline-forming diet do the sports physiology experts tell us is the superior diet to eat for optimum athletic performance? The Guyton & Hall Textbook of Medical Physiology, Tenth Edition, now being utilized by many major universities and colleges for teaching human physiology classes, states: "a high-carbohydrate diet is the superior diet for attaining peak athletic performance, endurance, and for generating maximum power and strength." Why a High-Carbohydrate Diet? Because, no diet stores more glycogen in the muscle as a high-carbohydrate diet. Glycogen, when needed, is converted into glucose, the main fuel for optimum athletic performance, endurance, and generating the ultimate body power and strength. Glucose, not protein, is the main fuel for peak athletic performance. Vegans can be fit, strong and healthy and even compete in sports. Not only can they compete in sports, vegan athletes can, and do, win world championships. In fact, a lot of athletes on a vegan diet have said they can compete at a higher level since turning to a vegan diet. Cutting out artery-clogging animal fats has certainly done these vegan athletes a world of good. "Eating whole foods and plant-based foods and juicing are my main diet choices. I believe that vegetarian protein is important, but it should only complement a meal that is plant-based, with fresh veggies, whole grains and fruits." But, Why Aren't There More Vegan Athletes In The World? Well, when you consider that only around 0.5% (although this figure may be higher) of the world’s population is vegan, and say, 1% of those vegans (as an example) chooses to become athletes, they are outnumbered by non-vegans on a massive scale. If 50% of the world’s population was vegan, and 5% of those were into competitive sports, and that tallied with 5% of non-vegans competing in sports, then we would obviously have more of a balance. PRAL Concept Versus The The AAA Diet® In Regards To Proper Food Combining! The "PRAL" Table of Contents contains very good information, in relation to how foods are metabolized either acidically or alkaline, during the digestive process within the body. But the PRAL Table of Contents does not take into consideration the correct food-combining principles that two alkaline-forming foods eaten together, such as a banana and an orange (although alkaline-forming when eaten separately) will metabolize acidically when combined together. This is because the combination of acid-fruit sugars, which must be digested within an hour, with sweet fruit sugars such as a banana that requires up to three hours to be digested. The sugars, from the acid-fruits, would be held up three hours or more waiting to be digested, and would ferment and produce various toxins in the body because they were not properly digested within their allotted time frame of one hour. The rule for combining various sugars, resulting from various food classifications such as starch or fruits, may result in indigestion, due to bad food-combining practices. This fermentation process is due to the various digestive times required to break these foods into sugars that the body would accept. Just because two alkaline-forming foods metabolize alkaline when eaten alone, does not mean that they will metabolize alkaline when you combine them. 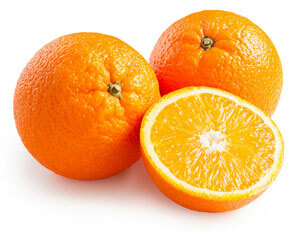 Eating a banana with an orange is considered an acid-forming diet, because it will metabolize an acid-forming ash as its end product, called, NAE (net acid excretion). See Sugar-Sugar Combination in correct food-combining principles. The lack of knowledge and application of Correct Food Combining Principles is the GREATEST MISTAKE that most Acid/Alkaline Balance AUTHORS have in common, including the PRAL Diet Concept. They simply do not understand the scientific health importance of correct food-combining. In addition, they do not understand the various food classifications such as acid-fruits, sub-acid fruits and sweet fruits and their relationship in regards to their compatibility when combined. If foods, when combined, are not compatible during the digestive process, they will metabolize as an acid-forming ash when excreted and, therefore, will be considered an acid-forming diet. Acid-forming diets are the major cause of a very unhealthy condition called Acidosis and are the leading cause of many diseases such as Crohn's, Diverticulitis, cancer, colon related diseases, strokes, diabetes, and many others. All PRAL foods, which are not correctly combined, violate the acid/alkaline balance principles. If you are to utilize the PRAL Table of Contents to eat 80% alkaline-forming / 20% acid-forming foods, as a rule of thumb, you should practice proper food-combining principles. This will ensure the foods that you are eating will be properly digested, so the nutrients will be in ample supply for immediate delivery to every cell of your body. This will result in optimum nutrition, health, power, strength, and endurance, for peak, athletic/non-athletic performance. See the ACID ALKALINE FOOD CHART. The PRAL Diet is listed as part of Levels 3, 4 and 5 to demonstrate the lesser of two evils, specifically, Levels 1 and 2. The PRAL Diet violates the human's physiological and scientific digestive laws of proper food combining. Why? Because it hinders the maximum delivery of food nutrients to the body for the ultimate health that it can humanly achieve. Although the PRAL Diet is less acid-forming than Levels 1 and 2, this diet is hardly the ideal diet for securing optimum nutrition since it generates too many body toxins on a cellular level. The PRAL Diet is considered an acid-forming diet that leads to the development of low grade and, finally, chronic acidosis. These two conditions acidify human body cells and rob them of the energy to keep them healthy. The inability of body cells to stay healthy, due to their weakened state, is the major reason for many injuries and diseases that could be prevented if correct food-combining principles were applied to one's diet, such as utilized in The AAA Diet® LEVELS. Acidosis is the condition that the PRAL Diet claims to avoid, yet doesn't. The AAA Diet® Levels, listed below, were created for the purpose of monitoring one's referral point of progress and ascent towards Level 10. Level 10 adheres to The AAA Diet® guidelines and is also referred to as the Hygienic Diet, which provides the ultimate achievement in human nutrition. Level 9 adheres to the AAA Diet® guidelines and can also be referred to as the Hygienic Diet. This level provides a very high quality of achievemnt in nutrition. 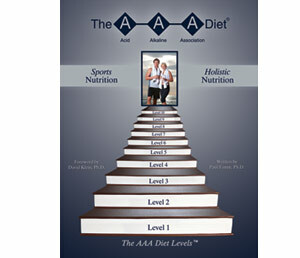 Level 8 adheres to The AAA Diet® guidelines and does accomodate a relatively good degree of health. Level 7 adheres to The AAA Diet®. This is the "Transitional Level" that will allow one to overcome his/her addictions to dairy products in general. due to its dominant acid-forming nature, makes this level unhealthy to consume. See THE The AAA Diet® LEVELS ALKALINE DIET RECIPE SAMPLES.